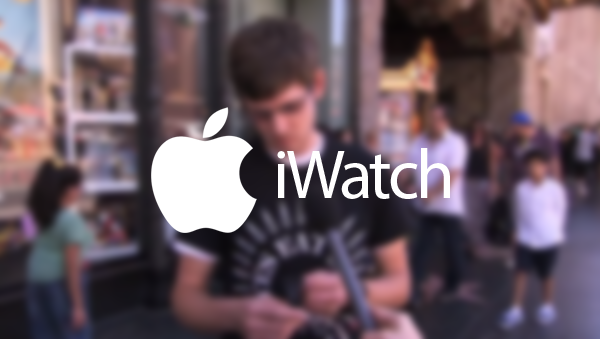 We’re as eager to get our hands on a watch made by Apple as anyone else, but it seems that some are just a little too eager for their own good after a new Jimmy Kimmel Live spot took to the streets in order to see if it could fool people into thinking they were being shown the as-yet unannounced iWatch. As you might expect given Kimmel’s past form with such things, the spot shows person after person being apparently fooled into the belief that they’re fondling Apple’s first wearable, but you’d at least expect the prop to be something that looks like it could fit the bill of a futuristic Apple watch. What they actually used was a $20 Casio watch with an Apple logo slapped on the back. The spot goes on to show a range of people of varying ages apparently being fooled by the prop, with a range of responses coming from each. Some said that they’d buy anything with an Apple logo on it, while others marveled at the watch’s ability to display not just the time, but also the data alongside it. If we’re honest, it’s just all a little too good to be true. After all, surely anyone with an ounce of common sense wouldn’t be falling for such a stunt, let alone coming up with the perfect sound bite along the way. It’s clear that the whole spot was set up as a, ‘Apple fans will buy anything’ sort of thing, and that’s exactly what they got. Beyond the cynical types that we are, we just can’t quite take this whole thing at face value. The real Apple iWatch has been the subject of many rumors of late, but there is still no real information about either the device or when it will become a reality. Recent rumors have Apple in talks with watch makers about some sort of partnership and a whole range of devices, though time will tell whether that’s any more than a rumor. It is expected that the mythical iWatch will be announced at an event some time in fall. Whether it would be announced alongside the iPhone, the iPad, or gets a dedicated event of its own is yet to be seen.